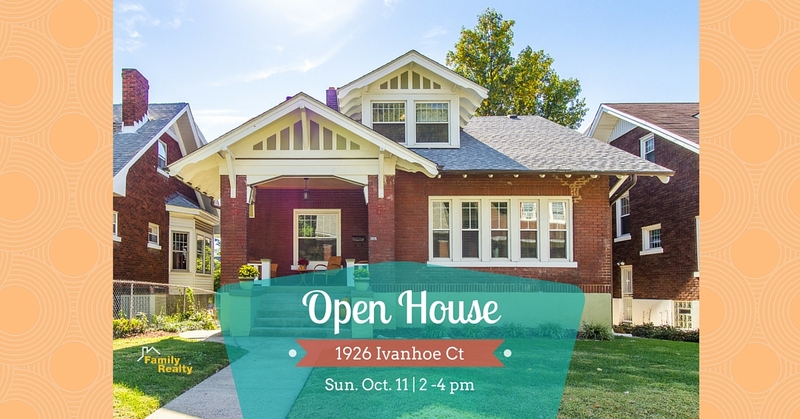 Located on a quiet walking court, 1926 Ivanhoe Ct is a rare opportunity. Come out this Sunday October 11 from 2-4pm. 5 bed/2 bath, first floor master suite, large eat-in kitchen, attached garage, 2400 sq ft + finished basement area and more! Family Realty LLC has completed work on a new state of the art website to offer Louisville home buyers and sellers the best tools available in the industry. With the myriad of available search tools on the market is was important to bring a client focus into play and provide a smart, simple, user friendly search tool to find that perfect Louisville home for sale. Aside from the search tool itself is the free sign-up option which allows home searchers to receive email updates on properties of their choosing as well as notices of new listings as they hit the MLS to stay ahead of other home buyers in the Louisville market. Family Realty didn't stop with just buyer's tools but has incorporated the best online seller's tools as well. Our unique and comprehensive Louisville Market Snapshot tool allows you the seller to enter your home address and view highly specific information with regard to recently sold homes in your neighborhood, comparable properties as well as other specific and useful information. This tool will continually track your property for increases in value that can give you the insight needed to properly price your home for a faster sale with higher value! Best of all, the buyers and sellers tools offered on the ViewLouisvilleHomes.com website are free of charge! There is never any obligation and we feel the benefits you receive will help you in todays housing market to come out on top. As our commitment to better serve you continues, we will bring you the most current real estate news here in our blog. You can look forward to in depth market analysis, current Louisville area real estate market trends, as well as insightful articles about buying and selling geared to put you ahead of the curve. We hope you will enjoy all the changes we've implemented here on the ViewLouisvilleHomes.com website and as always, feel free to contact us for any additional information.